Don't forget to register for our holiday party! We will celebrate the end of the year with open bar specials and great food at Ichi Cellar on December 13, 2016 from 6:30 PM to 9:30 PM. Ichi Cellar is located at 6 East 32nd Street, New York, NY (not in the restaurant but in the downstairs lounge; between 5th and Madison Avenues). Help us spread the word! KALAGNY will present a CLE course entitled “Most Common Disciplinary Errors Made by Lawyers in 2015.” The program will give a brief overview of the disciplinary process and discuss numerous 2015 cases where attorneys were disciplined for their misconducts. During the discussion, rules that govern attorneys in their professional capacity will be reviewed including Part 1240 (Rules for Attorney Disciplinary Matters) and Part 603 (Conduct of Attorneys). The program will be hosted by Rivkin Radler LLP at its New York Office, 477 Madison Avenue, 20th Floor. CLE credit approval for this course is pending. The speaker will be Jun H. Lee, Principal Staff Attorney with the Attorney Grievance Committee, First Judicial Department. A hearty congratulations to the Honorable Randall T. Eng, who is Presiding Justice of the Appellate Division of the Second Department, upon receiving a Trailblazer Award from NAPABA. Justice Randall T. Eng is the Presiding Justice of the Appellate Division, Second Department. He received a J.D. from St. John’s University School of Law in 1972. Upon being admitted to the New York State bar in 1973, Justice Eng was appointed an assistant district attorney in Queens County. 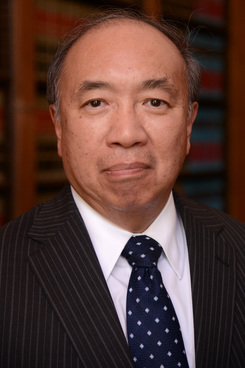 Justice Eng became the first Asian-American to become a judge in New York State, when he was appointed to the Criminal Court of the City of New York in September 1983 by Mayor Edward I. Koch. On January 25, 2008, he was designated an Associate Justice of the Appellate Division Second Department. To learn more about Presiding Justice Eng, click here. Further congratulations to Yoon & Kim LLP and its finding partner Charles Yoon, upon Yoon & Kim LLP receiving NAPABA's Asian Pacific American-Owned Law Firm of the Year Award. NAPABA created the Asian Pacific American-Owned Law Firm of the Year Award to recognize Asian Pacific American-Owned law firms that have achieved prominence and distinction while maintaining the highest ethical and legal standards in the profession and have demonstrated a strong commitment to the Asian Pacific American community. 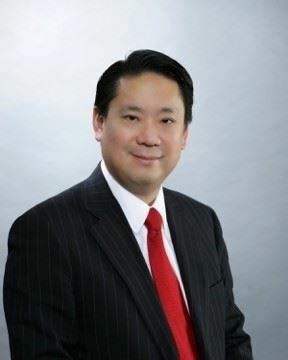 Charles Yoon has over 25 years of experience in the areas of domestic and international litigation and arbitration. Mr. Yoon was previously a partner at the law firm of Thelen Reid & Priest LLP. He received his B.A. from Columbia College and his J.D. from Columbia Law School. Mr. Yoon was previously a partner at the law firm of Thelen Reid & Priest LLP. Mr. Yoon is a a past President of KALAGNY. He is also a past President of the International Association of Korean Lawyers, a past President of the Korean American Business Council of Greater New York, and a past Co-Chair of the Solo and Small Law Firm Committee of the National Asian Pacific American Bar Association. Mr. Yoon currently holds or has held a number of other leadership roles within various community based non-profit organizations. Event I. The NYC Bar Association is hosting a broader program on how to become a judge on December 3, 2016 at 9 AM to 3:30 PM. The program is designed to inform lawyers about the paths, elective and appointive, to becoming a judge in New York City. Click here to learn more and to RSVP. **KALAGNY is offering subsidies to its dues paid members to attend this program. Please e-mail kalagny@gmail.com with a subsidy request if you are a member of KALAGNY and wish to attend this event.